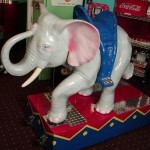 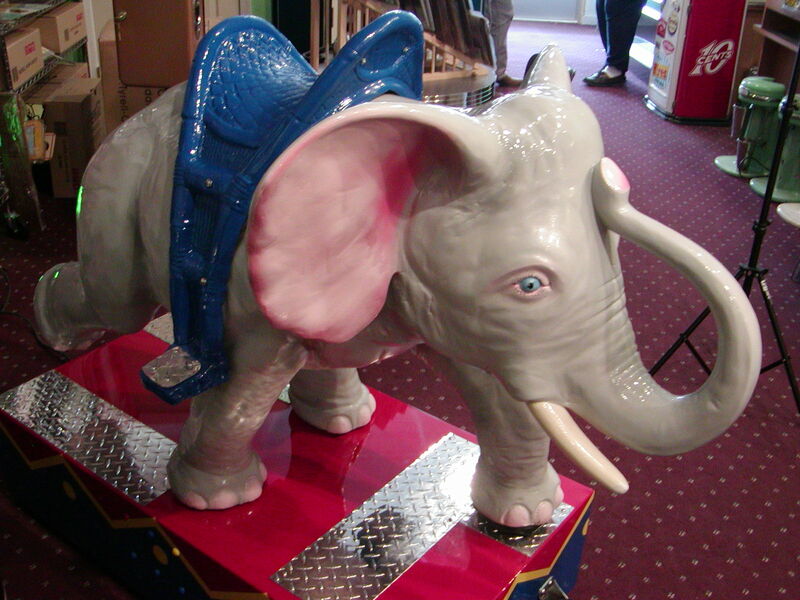 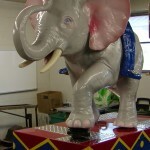 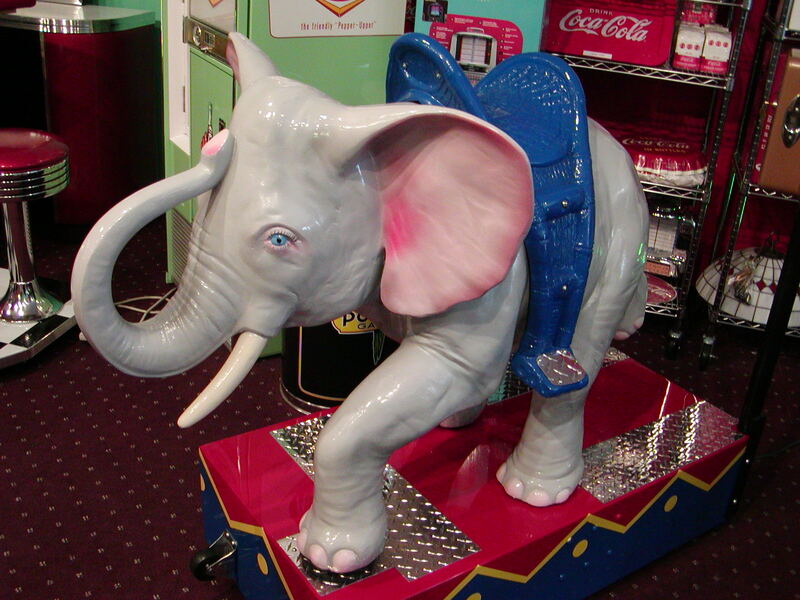 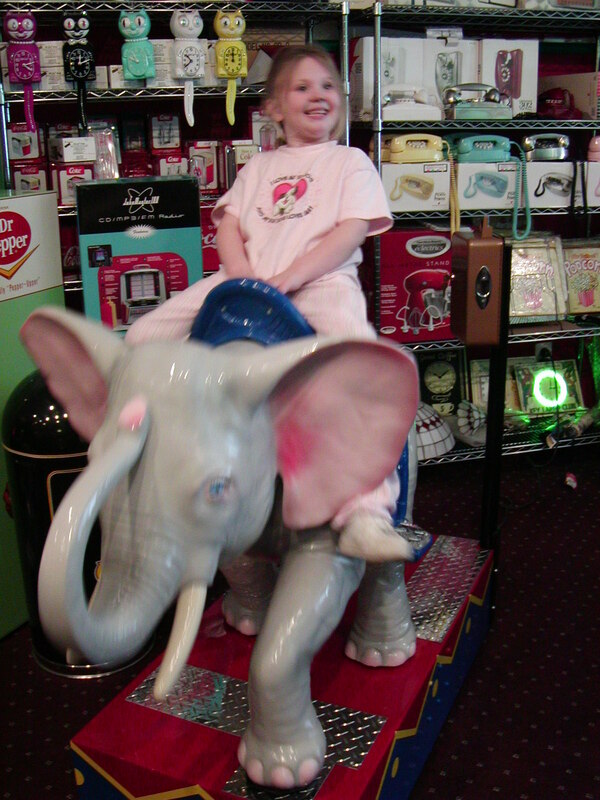 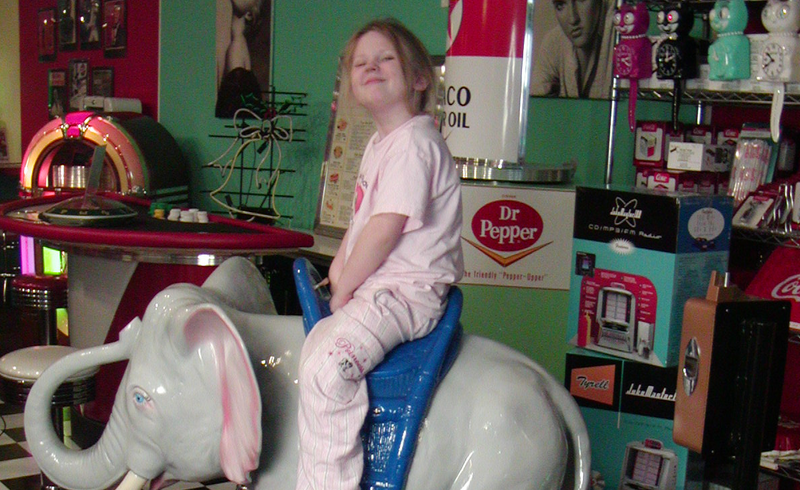 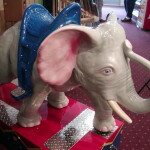 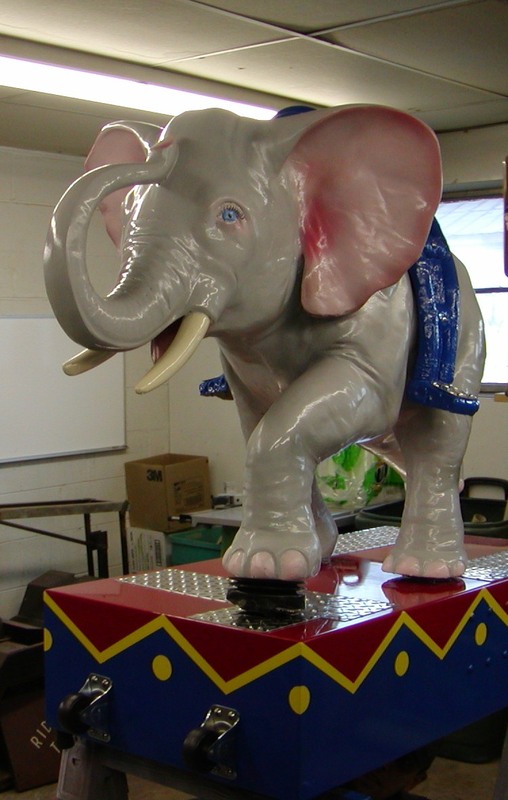 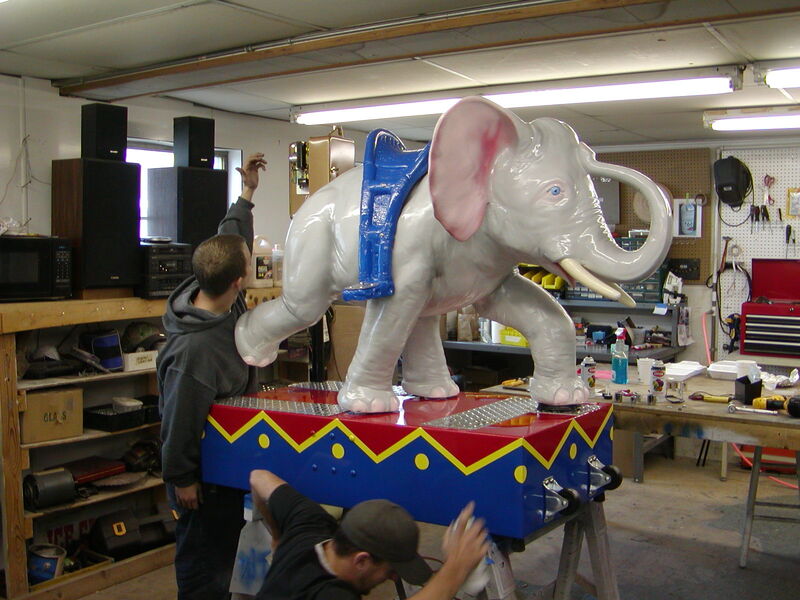 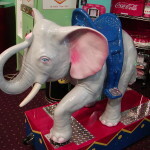 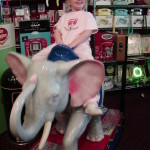 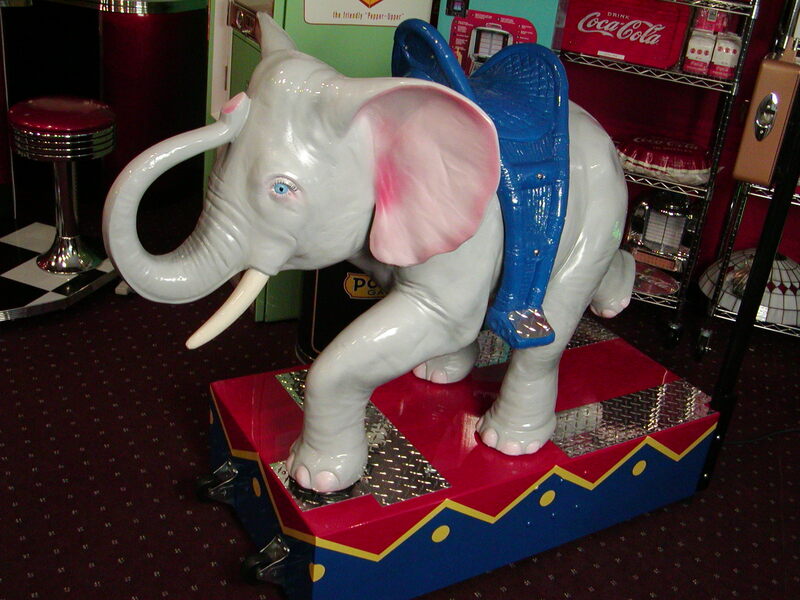 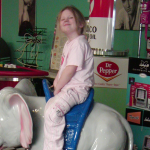 This Dumbo Ride is an Elephant coin operated ride we found was in complete dis repair. 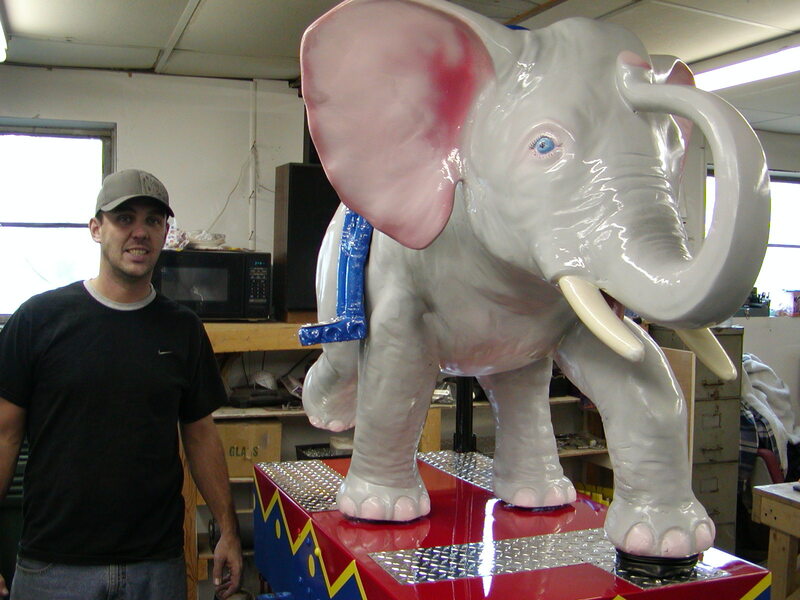 After some long hours of restoration and a huge amount of love we restored it to better than new condition. 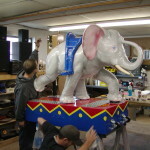 The ride is hand painted and includes a custom made base with brand new motors. 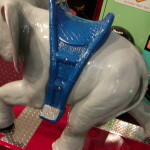 The new coin mech allows for operation on a quarter or free play. 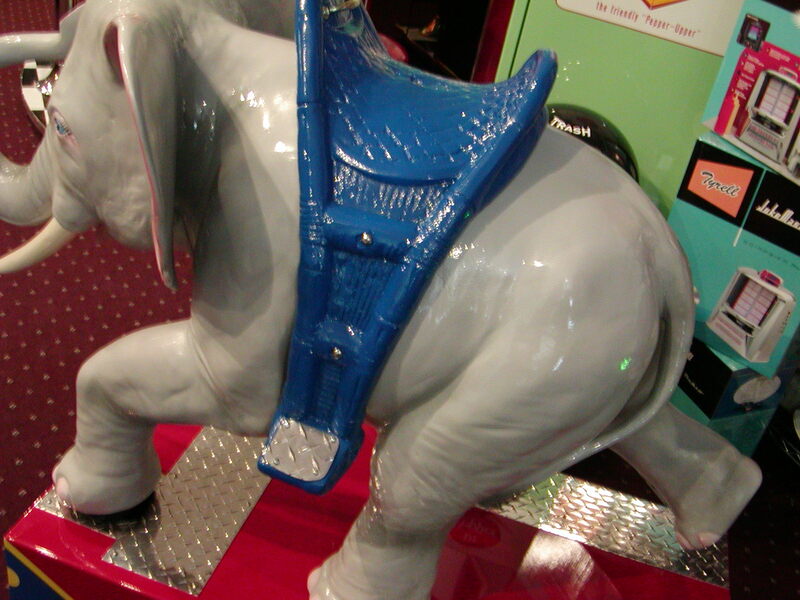 The owner of this restored kiddie ride sure is lucky! 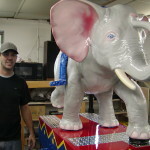 For more information on our kiddie restorations check out www.bitw.com.